Barry Hawkins is relishing the opportunity to compete at snooker’s Shanghai Masters which runs from September 10-16. The tournament has changed from a ranking event to an invitational, which means that only the top 16 in the world rankings were guaranteed a spot. They will be joined by the next four top-ranked Chinese players plus four Chinese amateurs in the 24-man field. And it has a record prize fund of £725,000 with the winner to collect the trophy and £200,000. 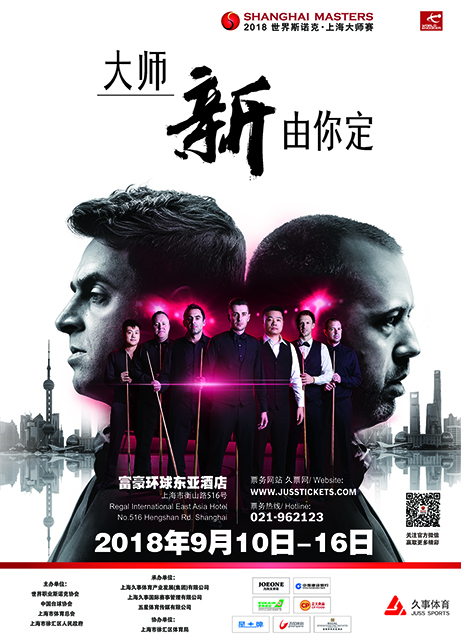 World number seven Hawkins will battle the likes of Ronnie O’Sullivan, Mark Williams, Judd Trump, Mark Selby and China’s Ding Junhui (click here for the match schedule). “It’s a big tournament to be involved in, I’m really looking forward to it and delighted to be in the field,” said England’s Hawkins. “Being in the top 16 in the world gets you some great perks in terms of getting into these invitation events. To stay in the top 16 for as long as I can is one of my main ambitions. Hawkins had never reached a ranking event final in China until this year’s China Open, where he was runner-up to Mark Selby. He went on to reach the semi-finals of the Yushan World Open in August. “I used to struggle with the trips to China because I would get homesick, but I have got used to it and that has helped my performances,” he said. “I usually come out early for a few days to get over the jet lag and that also helps.